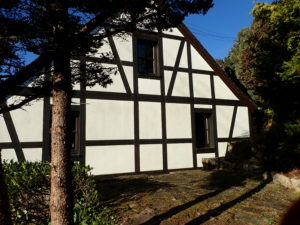 Our semi-detached holiday home (the ’front house’, ca 105 m2) is located in the village of Leisel, about 10 kms from Idar-Oberstein and Birkenfeld. 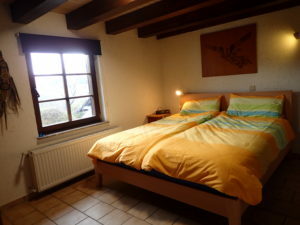 The house has a private entrance and can accommodate 4 adults or a family with max. 4 children. Wi-Fi is free, you will receive a code. The whole house has central heating. Obviously pets are welcome, after consultation. 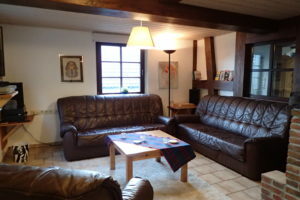 The living room has a dining table with four chairs (plus two folding chairs) and two large sofas, there is a TV with DVD player, a CD player and a number of board games and books. You will also find lots of tourist information about the area. 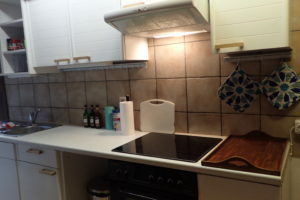 The kitchen is equipped with an infra red hob and oven, dishwasher, freezer, microwave, coffee maker, etc. In the kitchen cabinets you will find China, glass ware and towels. 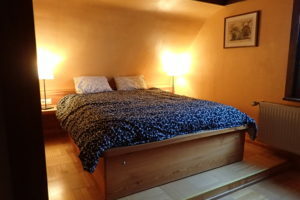 bed (180 cm wide), and one on the first floor with a double bed (140 cm wide) and two single beds. 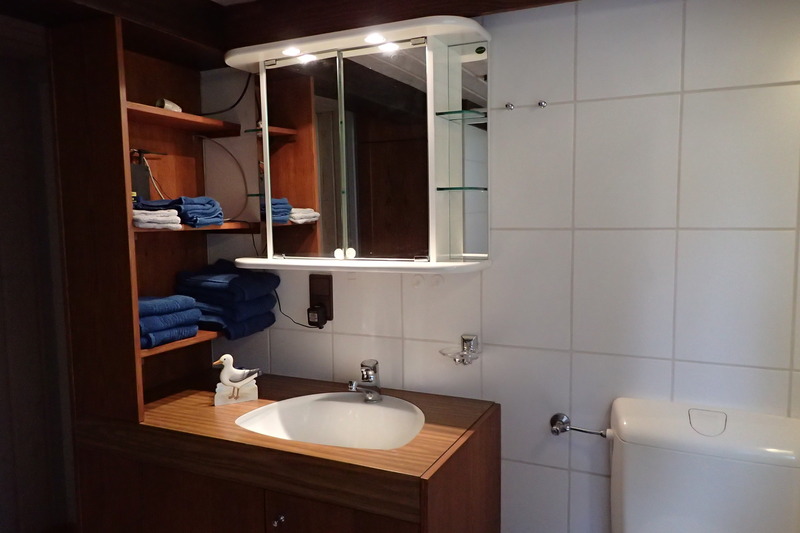 Both bedrooms have their own bathroom with bath, shower, washbasins and toilet. The downstairs bathroom has a bathtub and a separate shower and here are the washer and dryer. The upstairs bathroom has a bath/shower combination. 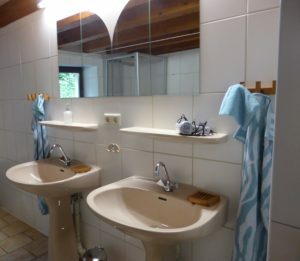 In both bathrooms is linen available. Your holiday house has an own terrace before the house and a parking place besides the house on our own terrain.